Significant technological advancements have been made in many industries over the last few years, and the construction industry is no exception. Between the modernized processes and equipment becoming more and more technologically advanced, it is no wonder construction companies big and small are looking for the best ways to protect their equipment and keep their projects moving forward and on schedule. For many, the answer can be found in GPS tracking for their vehicles and equipment, allowing for near real-time insight into equipment location, state of operation, and engine diagnostics. Any setback in a construction project can add up in lost profit very quickly, which is why company owners and project managers do all they can to keep the job site running as efficiently as possible to keep the project on schedule. GPS tracking can help with efficiency and productivity by providing important data showing when vehicles or equipment are being used, how they’re being operated, if there are any mechanical issues which suggest maintenance is required to prevent a breakdown which is a hugely costly setback for any project. Data availability depends on the type of equipment, however, some data which has been collected from some heavy construction equipment previously includes: total amount of fuel used, total amount of fuel used while idling, trip fuel used, engine coolant temperature, engine hours and fault codes. The benefit of having these pieces of data at your fingertips is obvious and a large reason why GPS tracking in the construction industry is on the rise. Arguably the most important reason for choosing to implement GPS tracking in a construction vehicle and equipment fleet is theft. Security on construction sites is a major concern as equipment is left on the job site day after day, often not guarded overnight, usually in fairly or extremely remote locations, making the various machinery and equipment easy targets for thieves. The problem of theft from construction sites has gotten so bad that the Ontario Provincial Police (OPP) say in the province of Ontario alone $15 million to $20 million of construction equipment is lost each year. The problem gets worse in the United States with the Insurance Crime Bureau and National Equipment Register reporting $300 million to $1 billion in construction and heavy equipment being stolen each year. 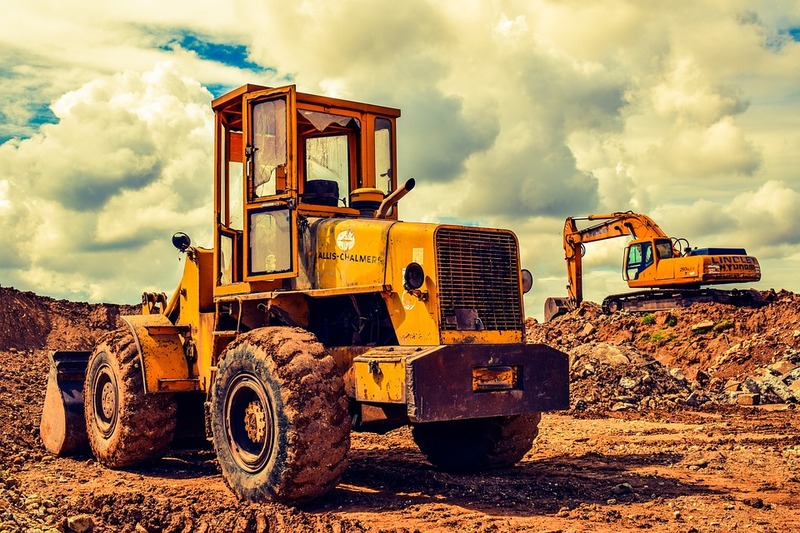 The safety and security of workers and equipment on construction sites is no laughing matter, and with the cost of setbacks very clear, any in the industry who have not yet implemented GPS tracking into their vehicles and equipment are risking a lot. If you’re interested in learning more about how GPS to GO can help your construction company with GPS tracking, contact us today!